In the animal husbandry industry, cattle-feed manufacturing is considered the most lucrative sector, however, Vietnamese companies have not until now been able to develop or access its full potential in the market. Like companies in other sectors, cattle-feed manufacturers also faced economic difficulties. This year, with fierce competition from FDI companies, the situation has become even more drastic. According to Nguyen Thanh Phuc, a representative of a cattle-feed company, it is impossible for local producers to compete with foreign cattle-feed companies, as the former have to cope with higher interest rates than the latter. For instance, in 2011, local companies paid interest rate at 18-24 percent per annum, and although loan interest rates declined last year, they still remained at a high 15 percent per annum. This year, just a few companies can access loans at an interest rate of 10 percent per annum. On the other hand, loan interest rate for foreign producers was around 3-5 percent per annum or even lower, not including financial support from parent companies. A shortage of capital or high-interest capital has made local cattle-feed producers hesitate in buying large amounts of material stock. The Vietnam Feed Association said that last year local firms had to import 8 million tons of material at a cost exceeding US$3 billion. Consumption of cattle-feed was also not steady which prevented producers from confidently increasing production. Moreover, local producers have to pay value added tax and land rental while foreign producers are free of these overheads. 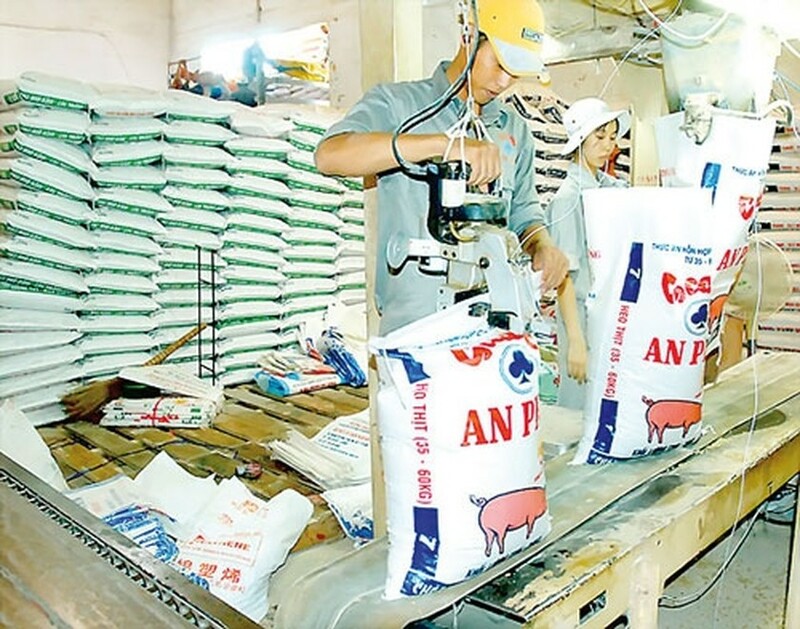 Le Ba Lich, chairman of the Vietnam Feed Association, said that the Government and credit institutions should have favorable policies for local firms in lending capital and help them build warehouses for temporary material stockpiling. In addition, firms should upgrade their facilities and coordinate with each other to strengthen their power. 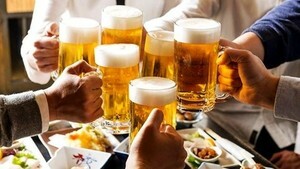 In reality, there were still some companies in the local industry that have outstanding potential and have the ability to take on foreign producers, such as Vina Cam Company and Hong Ha Company. With annual average revenue of $6 billion and growth of 13-15 percent, Vietnam’s cattle-feed market has become a lucrative sector for foreign groups to develop. Currently, there are more than 230 cattle-feed plants across the country, of which 58 plants belong to foreign-invested companies with production accounting for 60 percent of total production in the country. Familiar names, such as CP Vietnam, New Hope, and Cargill all have plans to open more plants. Particularly, CP said that by 2014, it would build six more cattle-feed plants in Vietnam. Similarly, New Hope also plans to build around 5-6 plants in the coming years. Last year, 95 percent of FDI capital for husbandry industry was pumped into the cattle-feed manufacturing sector; 4 percent for producing breeding stock; and 1 percent for other sectors in the animal husbandry industry. Lately, Japanese cattle-feed producer Kyodo Sojitz officially opened in Long An Province at a cost of $24 million and capacity of 200,000 tons annually, making this the first Japanese cattle-feed company in Vietnam. More foreign plants will lower market share of local companies. Some plants of Vietnamese firms will have to stop production or shift to another business because they cannot withstand pressure from foreign companies, causing the country’s animal husbandry industry to depend on FDI companies. At present, the cost for cattle-feed accounts for 70 percent of cost price for breeding. Once dependent on foreign companies, the local market will be easily controlled. For instance, at the beginning of this year, CP irrationally raised the price of poultry eggs. Some animal husbandry companies and cattle-food producers have started to develop farm-to-table models to reduce dependence, for which Vissan has already made a mark. However, capital and experience remains a tricky question for most local firms.